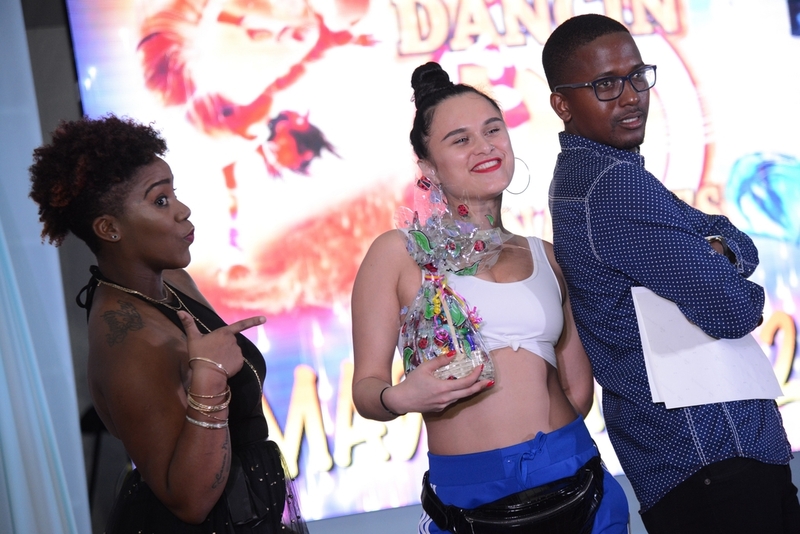 5664 - Russian Dancer, Inga (centre), relishes her moment in the spotlight after showcasing some of her crowd-pleasing dance moves at the Charles Chocolates Dancin’ Dynamites launch at Emancipation Park. Show hosts Weezy (left) and Badda Bling joined in on the photo op. 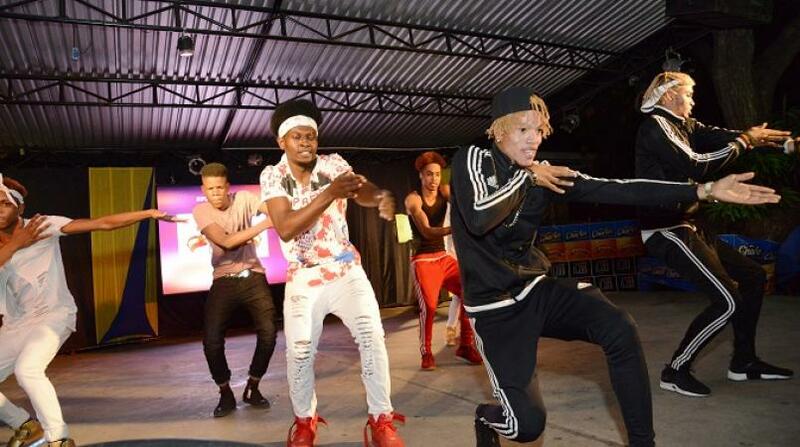 After over a decade of successful stagings that has resulted in local dance crews showcasing their rhythm and moves on national television and winners being propelled into the international spotlight, this year’s ‘Mad and Mean’ themed Charles Chocolates Dancin’ Dynamites competition promises even more electrifying excitement, prizes and opportunities for competitors. At the official launch recently at Emancipation Park, Competition Conceptualiser and Executive Producer Jennifer ‘Jenny Jenny’ Small, along with title sponsor Charles Chocolates, revealed that for Season 14 the winning team will not only face-off with local talent at the finale episode, but also with international dance groups from Germany, Russia, Spain and Sweden in a bonus finale episode airing the following week. 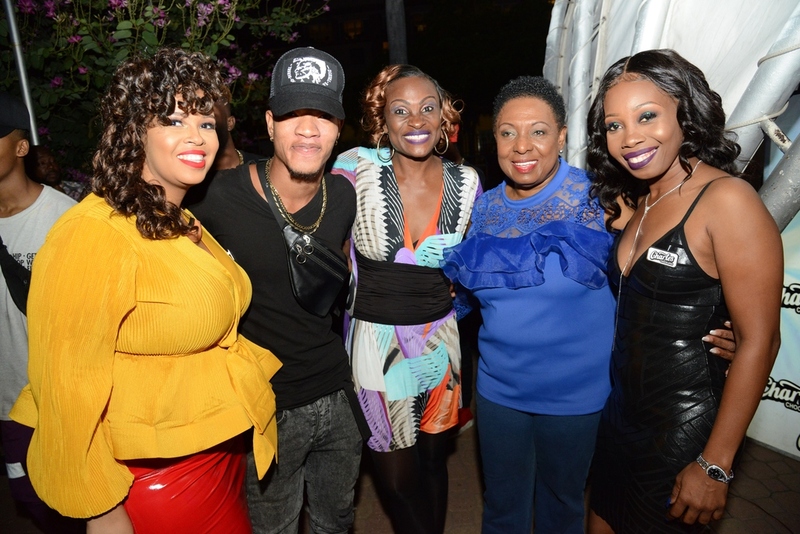 Minister of Culture, Gender, Entertainment and Sport Olivia ‘Babsy’ Grange (second right) is joined by (from left) Crystal Carby, Devon Biscuits Representative; local dancer Chin; Jennifer ‘Jenny Jenny’ Small, Conceptualiser and Executive Producer, Charles Chocolates Dancin’ Dynamites; and Roxanne Brown, Brand Manager, Charles Chocolates, at the launch of Season 14 ‘Mad & Mean’. The competition kicked off last Saturday in May Pen, with $2 million in cash up for grabs and $1 million in prizes. The production team has added an exciting twist to the face-offs to build the anticipation for each show. This year, the winner of each episode’s showdown will receive $14,000 which they have the option to accept on the spot or take a gamble in hopes that they win the following week’s completion, incrementally increasing the cash pot to $42,000 then $70,000 thereafter. 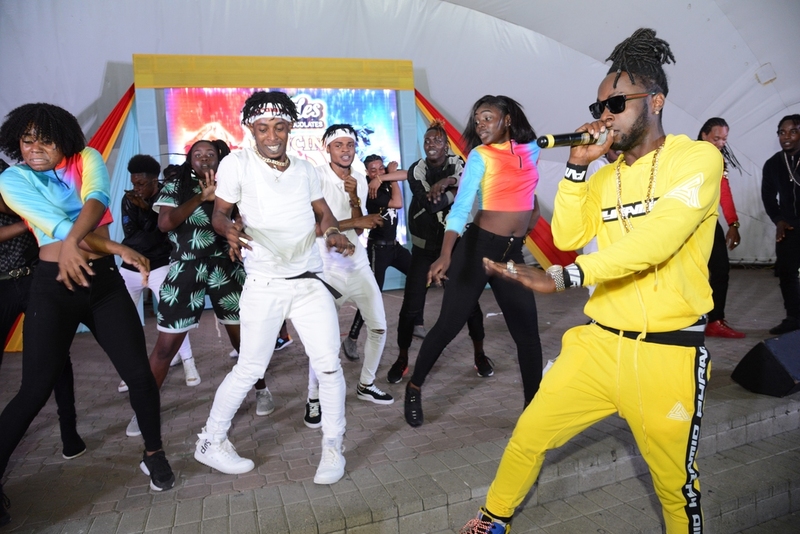 Dancehall artiste Stylo G (right) dazzles the crowd during his much-anticipated performance of his smash hit song ‘Touch Down’ alongside Charles Chocolates Dancin’ Dynamite dance crews of seasons past. Hosted by Weezy and Badda Bling, the night’s entertainment featured a grand performance from dancehall artiste Stylo G, with his smash hit Touch Down, much to the audience’s delight. 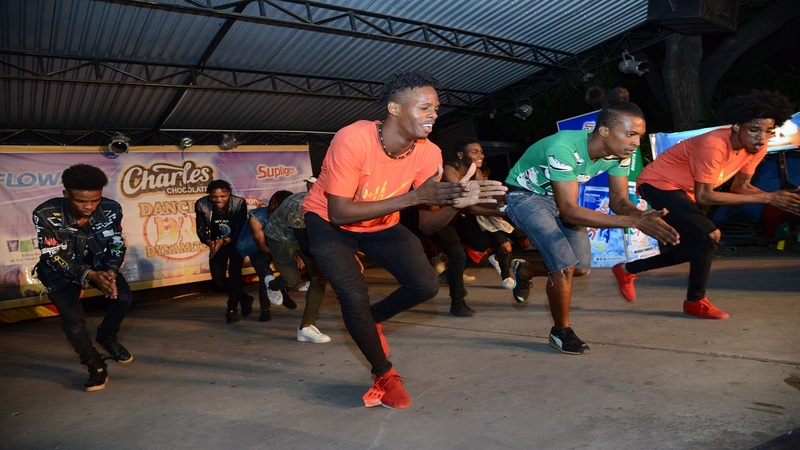 Also performing were show judges Orville and Kerry, 2018 competition winners Street Team, past competitors Unruly Skankaz and Fantastic Steppaz, along with Sha Shi Xpressionz, Chin, and Jam Dynamites.